The availability of qualified candidates is just part of the problem with data center staffing; the industry also lacks training and clear career paths attractive to recruits. The data center industry is experiencing a shortage of personnel. Uptime Institute Founder Ken Brill, as always, was among the first to note a trend, mentioning it more than 10 years ago. This trend reflects, in part, an aging global demographic but also increasing demand for data center personnel, which Uptime Institute Network members have described as chronic. The aging population threatens many industries but few more so than the data center industry, where the Network Abnormal Incident Reports (AIRs) database supports the relationship between downtime and inexperienced personnel. As a result, at recent meetings North American Network members discussed how enterprises could successfully attract, train and retain staff. Network members blame the shortage on increasing market demand for data centers, inflexible organizational structures and an aging workforce retiring in greater numbers. This shortfall has already caused interruptions in service and reduced availability to mission-critical business applications. Some say that the shortage of skilled personnel has already created conditions that could lead to downtime. If not addressed in the near term, the problem could affect sections of the economy and company valuations. Prior to 2000, data center infrastructure was fairly static; power and cooling demand generally grew following a linear curve. Enterprises could manage the growth in demand during this period fairly easily. Then technology advances and increased market adoption rates changed the demand for data center capacity so that it no longer followed a linear growth model. 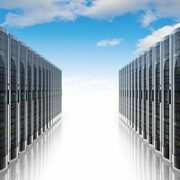 This trend continues, with one recent survey from TheInfoPro, a service of 451 Research, finding that 37% of data center operators had added data center space from July 2012 to June 2013. Similarly, the 2013 Uptime Institute Data Center Industry Survey found that 70% of 1000 respondents had built new data center space or added space in the last five years. 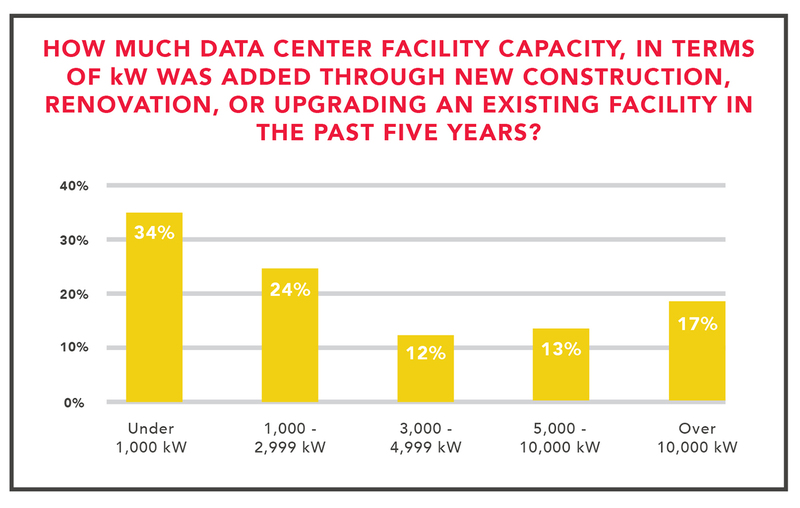 The survey reported even more data center construction projects in 2012 and 2011 (see Figures 1-3). The 2013 survey showing more detail about industry growth appears here. Figure 1: New data center space reported in the last 12 months. Drivers of the data center market are similar to those that drive overall internet growth and include increasing broadband penetration, e-commerce, video delivery, gaming, social networking, VOIP, cloud computing and web applications that make the internet and data networking a key enabler of business and consumer activity. More qualified personnel are required to respond to this accelerated growth. The organization models of many companies kept IT and Facilities or real-estate groups totally separate. IT did IT work while Facilities maintained the building, striped the parking lot, and—oh, by the way—supported the UPS systems. The groups did not share goals, schedules, meetings or ideas. This organizational structure worked well until technology accentuated the importance of, and lack of actual, middle ground between the two groups. Figure 2. Demand significantly outpaced supply since 2010. Efforts to bridge the gap between the two groups foundered because of conflicting work processes and multiple definitions for shared terms (such as mission critical maintenance). Simply put, the two groups spoke different languages, followed different leaders and pursued unreconciled goals. Companies that recognized the implications of the situation immediately reorganized. Some of these companies established mission critical teams and others moved Facilities and IT into the same department. This organizational challenge is by no means worked out and will continue well into the next decade. 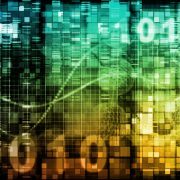 Though no government agency or private enterprise keeps track of employment trends in data centers, U.S. Social Security Administration (SSA) statistics for the general population support anecdotes shared by Network members. According to the SSA, which is the agency that supervises the federal retirement benefits program in the U.S., 10,000 people per day apply for social security benefits, with this number expected to continue to 2025 as the baby boomers continue to retire, a phenomenon first apparently dubbed the “silver tsunami” by the Alliance for Aging Research in 2006. The populations of Europe and wide parts of Asia, including China and Japan, are also aging. The direct experiences shared by Uptime Institute Network members suggest that the data center industry is highly vulnerable to, if not already diminished by, this larger societal trend. Network members estimate that 40% of the facilities engineering community is older than 50. One member of the Network expects that 50% of its staff will retire in the next two years. Network members remain concerned that many qualified candidates—science, technology, engineering and mathematics (STEM) students—are unaware of the employment opportunities offered by the industry and may not be attracted to the 24 x 7 nature of the work. Tony Ulichnie, who presided over many of these discussions as Network Director, North America (before retiring in July of this year), described the cost of wisdom and experience lost with the retirement of the retiring generation as “the price of silver,” referring to the loss to the organization when a longstanding and silver-haired data center operations specialist retires. Military and civilian nuclear programs have proven to be a source of excellent candidates for data center facilities but yield only so many graduates. These “Navy Nukes” and seasoned facilities engineers command very competitive salaries and find themselves being courted by the industry. Industry leaders say that the pipeline for replacement engineers has slowed to a dribble. Tactics such as poaching and counteroffers have become commonplace in the field. Potential employers are also reluctant to risk hiring green (inexperienced) recruits. The practices of mission-critical maintenance require much discipline and patience, especially when dealing with IT schedules and meeting application availability requirements. Deliberate processes along with clear communications skills become necessary elements of an effective facilities organization. Identifying individuals with these capabilities is the trick: one Uptime Institute Network member found a key recruit working at a bakery. Another member puts HVAC students through an 18-month training program after hiring them from a local vocational school, with a 70% success rate. 2013 Uptime Institute Data Center Survey) in the last five years, Growth in new whitespace by size also reported that a wide variety of spaces had been built. The hunt for unexplored candidate pools will increase in intensity as the demand for talent escalates in the next decade, and availability and reliability will also suffer unless the industry addresses the problem in a comprehensive manner. To mitigate the silver tsunami, some combination of industry, individual enterprises and academia must create effective training, development and apprenticeship programs to prepare replacements for retirees at all levels of responsibility. In particular, data center operators must develop ways to identify and recruit talented young individuals who possess the key attributes needed to succeed in a pressure-packed environment. Veterans form an often overlooked and/or misunderstood talent pool for technical and high-precision jobs in many fields, including data centers. Statistics suggest that unemployment among veterans exceeds the national rate, which is counterintuitive to those who have served. With more than one million service members projected to leave the military between now and 2016 due to the draw down in combat operations, according to U.S. Department of Defense estimates, unemployment among veterans could be a growing national problem in the U.S.
From the industry perspective, however, the national problem of unemployed veterans could prove an opportunity to “do well by doing good.” While experienced nuclear professionals represent a small pool of high-end and experienced talent, the pool of unemployed but trainable veterans represents a nearly inexhaustible source of talent suitable, with appropriate preparation, for all kinds of data center challenges. Data centers compete with other industries for personnel, so now is the time to seize the opportunity because other industries are already moving to capitalize on this pool of talent. For example, Walmart has committed to hiring any veteran who was honorably discharged in the past 12 months, JP Morgan Chase has teamed with the U.S. Chamber of Commerce to hire over 100,000 veterans, and iHeartRadio’s Show Your Stripes program features many large and small enterprises, including some that own or operate data centers, committed to meeting the employment needs of veterans. For its own good, the data center industry must broadly participate in these efforts and drive to acquire and train candidates from this talent pool. In North America, some data center staffs already include veterans who received technical training in the military and were able to land a job because they could quickly apply those skills to data centers. These technicians have proven the value of hiring veterans for data center work, not only for their relevant skills but also for their personal attributes of discipline and performance excellence. The data center industry can take further advantage of the talent pool of veterans by establishing effective training and onboarding programs (mechanisms that enable new employees to acquire the necessary knowledge, skills and behaviors to become effective organizational members and insiders) for veterans who do not have the technical training (e.g., infantry, armor) that translates easily to the data center industry but have all the other important characteristics, including a proven ability to learn. Providing clear pathways for veterans of all backgrounds to enter the industry will ensure that it benefits from the growing talent pool and will be able to compete effectively with the other industries. While technically trained veterans can enter the data center industry needing only mentoring and experience to become near-term replacements for retiring mid-level personnel, reaching out to a broader pool that requires technical training will create a generation of junior staff who can grow into mid-level positions and beyond with time and experience. The leadership, discipline and drive that veterans have will enable them to more quickly grasp and master the technical requirements of the job and adapt with ease to the rigor of data center operations. Military training and experience is unequaled in the breadth and depth of skills that it develops and the conditions in which these skills are vetted. Service members are trained to be intellectually, mentally and emotionally strong. They are then continuously tested in the most extreme conditions. Combat veterans have made life and death decisions, 24 hours a day for months without a break. They perform complex tasks, knowing that the consequences of failure could result in harm or even the death of themselves and others. This resilience and strength can be relied on in the civilian marketplace. Basic training teaches the men and women of the military that the needs of the team are greater than their individual needs. They are taught to lead and to follow. They are taught to communicate up, down and across. They learn that they can achieve things they never thought possible because of these skills, and with a humble confidence can do the same in any work environment. The military is in a constant state of learning, producing individuals with uncanny adaptive thinking and a capacity and passion for continuing to learn. This learning environment focuses not only on personal development but also on training and developing subordinates and peers. This experience acts as a force multiplier when a veteran who is used to knowing his job plus that of the entire team is added to the staff. The veteran is used to making sure that the team as a whole is performing well rather than focusing on the individual. This unwavering commitment to a greater cause becomes an ingrained ethos that can improve the work habits of the entire team. The public commonly stereotypes military personnel as unable to think outside of a chain of command, but following a chain of command is only a facet of understanding how to perform in a team. Service members are also trained to be problem solvers. In this author’s experience, Iraq and Afghanistan were highly complex operations where overlooking the smallest detail could change outcomes. The military could not succeed at any mission if everyone waited for specific orders/instructions from their superiors before reacting to a situation. The mindset of a veteran is to focus on the mission: mission leaders impart a thorough understanding of the intent of a plan to troops, who then apply problem-solving skills to each situation in order to get the most positive outcome. They are trained to be consummate planners, engaging in a continuous process of assessment, planning, execution, feedback and fine tuning to ensure mission success. Reliability is another key attribute that comes from military service. Veterans know that a mission that starts a minute late can be fatal. This precision translates to little things like punctuality and big things like driving projects to meet due dates and budgets. This level of dependability is cornerstone of being a good teammate and leader. Finally, an often overlooked value of military service is the scope of responsibility that veterans have had, which is often much larger than their non-veteran peers. It is not uncommon for servicemen and women in their twenties to have managed multi-million dollar budgets and hundreds of people. Their planning and management experience is gained in situations where bad decisions can cause troops to drive into an ambush that might also prevent supplies or reinforcements from reaching an under-provisioned unit. Because military experience produces individuals who demonstrate strong leadership skills, reliability, dependability, integrity, problem-solving ability, proven ability to learn and a team-first attitude, veterans are the best source of talent available. Salute Inc. is an example of a company that helps bring veterans into the data center industry, and in less than six months has proven the value proposition. Recent Uptime Institute Network discussions identified the need for standard curriculum and job descriptions to help establish a pathway for veterans to more easily enter the industry, and Network members are forming a subcommittee to examine the issue. The subcommittee’s first priority is establishing a foundation of training for veterans whose military specialty did not include technical training. Training programs should allow each veteran to enter the data center industry at an appropriate level. The Center for New American Security (CNAS) conducted in-depth interviews with 69 companies and found that more than 80% named one or two negative perceptions about veterans. The two most common are skill translation and concerns about post-traumatic stress (PTS). Many organizations have looked at the issue of skill translation. Some of them have developed online resources to help veterans translate their experiences into meaningful and descriptive civilian terms (www.careerinfonet.org/moc/). They also provide tools to help veterans articulate their value in terms that civilian organizations will understand. Organizations that access these resources will also gain a better understanding of how a veteran’s training and skills suit the data center environment. In addition, the military has established comprehensive transition programs that all service members go through when re-entering the civilian job market, including resume preparation and interview planning. The combination of government-sponsored programs and resources, a veteran’s own initiative and a civilian organization’s desire to understand can offset concerns about skill translation. PTS is an issue that cannot be ignored. It is one of the more misunderstood problems in America, even among some in the medical community. It is important to understand more about PTS before assuming this problem affects only veterans. It is estimated that 8% of all Americans suffer from PTS, which is about 25 million people. The number of returning military who have been diagnosed with PTS is 300,000, which is about 30% of Iraq/Afghanistan combat veterans, yet only a very small proportion of the total PTS sufferers in the U.S. The mass media—where most people learn about PTS—often describes PTS as a military issue because the military approach to PTS is very visible: there is a formal process for identifying it and also enormous resources focused on helping veterans cope with it. Given that there are 80 times more non-veterans suffering from PTS, the focus for any HR organization should be ensuring that a company’s practices (from the interview to employee assistance programs and retention) are effectively addressing the issue in general. The data center industry needs the discipline, leadership and flexibility skills of veterans to serve as a foundation on which it can build the next generation of data center operators. The Uptime Institute Network is establishing a subcommittee and called for volunteers to help define the fundamentals that would be required to have an effective onboarding, training and development program in the industry. This group will address everything from job descriptions to clearly defined career paths for both entry-level trainees as well as experienced technicians transitioning from the military. For further information or if you are interested in contributing to this effort, please contact Rob Costa, Network Director, North America (rcosta@uptimeinstitute.com). The following list provides a good starting point for understanding the many resources available for veterans and employers to connect. 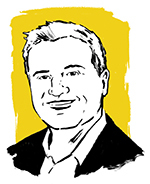 Lee Kirby is Uptime Institute senior vice president, CTO. In his role he is responsible for serving Uptime Institute clients throughout the life cycle of the data center from design through operations. Mr. Kirby’s experience includes senior executive positions at Skanska, Lee Technologies and Exodus Communications. Prior to joining the Uptime Institute, he was CEO and founder of Salute Inc. He has more than 30 years of experience in all aspects of information systems, strategic business development, finance, planning, human resources and administration both in the private and public sectors. Mr. Kirby has successfully led several technology startups and turn-arounds as well as built and run world-class global operations. In addition to an MBA from University of Washington and further studies at Henley School of Business in London and Stanford University, Mr. Kirby holds professional certifications in management and security (ITIL v3 Expert, Lean Six Sigma, CCO). In addition to his many years as a successful technology industry leader, he masterfully balanced a successful military career over 36 years (Ret. Colonel) and continues to serve as an advisor to many veteran support organizations. Mr. Kirby also has extensive experience working cooperatively with leading organizations across many Industries, including Morgan Stanley, Citibank, Digital Realty, Microsoft, Cisco and BP.